Adding Popular Post for Blogger. Popular Posts Widget is a widget that I was looking for. 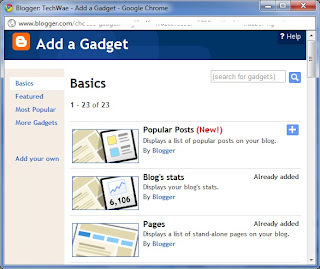 Popular Posts Widget displays your blog post or article on Blogger according to the number of visits to the post or article. So that we can know which articles are popular or frequently visited. Sometime ago, has released statistics Blogger blog (Blog's Stats) by adding a new tab in the administration page and also Blogger Widget Blog's Stats. Blog's Stats are showing pageviews of the blog. By Blog's Stats can also be seen an article where his high pageviews. Finally Blogger also publishes Popular Posts Widget. I think this widget is a continuation of the Blog's Stats. 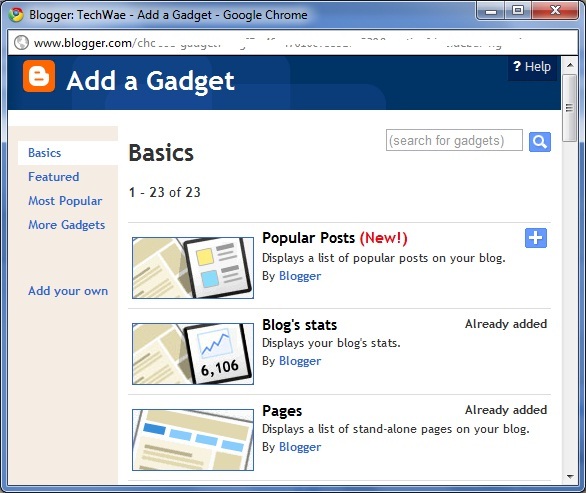 Which ultimately based on pageviews, Popular Posts widget was realized.